Have you still not found that one designer that totally gets you? Sometimes the hardest part of picking a shoe is knowing where to start! That’s why we have made a list of five very different, very fabulous designers for you. Each of these designers compliments a different sense of style, and we want to help you find which one is best for you! This American designer is perfect for the spunky fashionista. 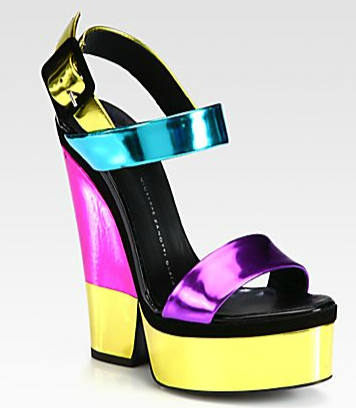 If you incorporate lots of bold colors in your style, and aren’t scared to rock a 5-inch heel then he is the man for you. He epitomizes everything that sparkles, dazzles, and stands out. 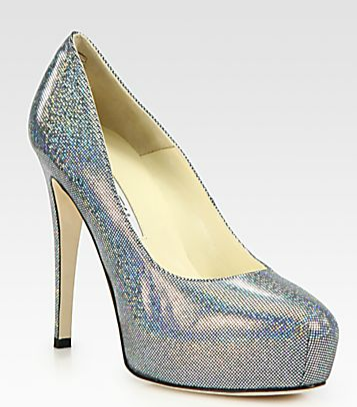 This pair of sparkly heels is one of our favorites from his spring collection. Paired with a little black dress, or a pantsuit, this is the perfect shoe for the modern day fashionista to add a little shine to her outfit. Rachel Zoe started off as our favorite celebrity stylists, and has evolved into her very own fashion designer. Her clothes are chic, stunning, and everything that is young and trendy. If you love the latest trends and aren’t scared to rock an avant-garde look, Rachel Zoe is perfect for you. She is of the more affordable designers, so this is perfect for the younger fashionista. 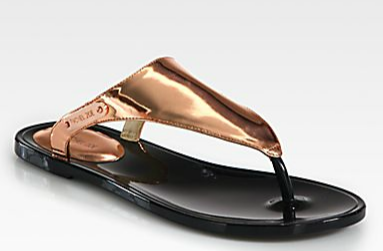 Her metallic sandals will look great with any summer outfit! One of our favorites! 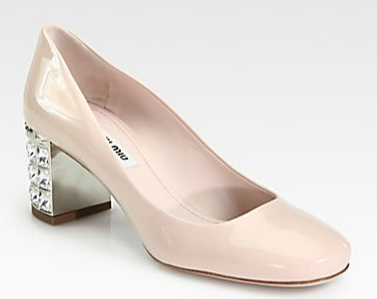 Miu Miu is for the woman who appreciates a classic approach to fashion, with a little bedazzled heel. Whether in a button down, jeans, and a cute pair of flats, or a pencil skirt with a great pair of heels, this woman is preppy, composed, and wants her shoes to speak for themselves. Usually Miu Miu shoes are the most vibrant part of any woman’s outfit, so the simpler the outfit, the more the shoes shine. Here is one of our favorite beige pair with a bedazzled heel! 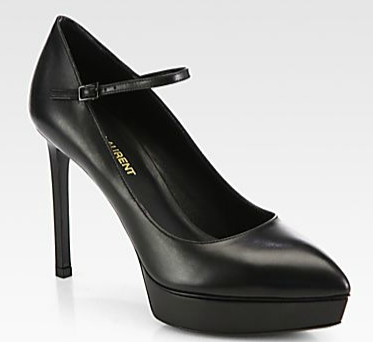 As we have seen “YSL” turn into just “SL” we must admit, we are loving the new line. A timeless brand, that accommodates to both old and young fashionistas, Saint Laurent is perfect for those girls who love their blacks and whites. Whether you want the famous 5.5-inch skinny heel for a night out, or the 3-inch heel, Saint Laurent accommodates the fashionista who hasn’t quite jumped on board with the neon trend yet. There you have it ladies, a look at five fab designers that match your unique personalities! Remember, fashion is about taking risks, so don’t be afraid to leave your comfort zone!